A lovely email popped through last week, asking me to take a look at Palmers Department Store. I hadn’t heard of it, so I had a pop over to see what they sell. 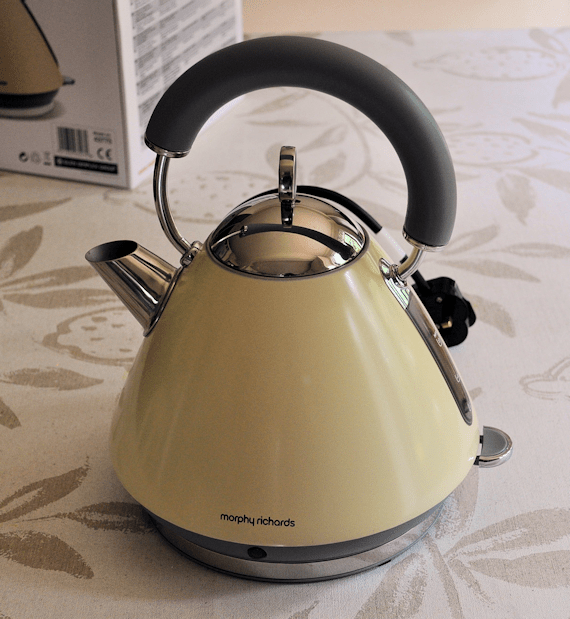 The lovely PR people sent me a gorgeous Morphy Richards Accents Kettle to test the service, which was very good all round. The box came packed inside another sturdy box to give it plenty of protection on route to Scotland. The kettle is slightly darker than it looks on the website pictures, but it’s still a lovely appliance and fits in well with my cream coloured kitchen. I really do have to say a huge thanks to Palmers, and for more than the great delivery service. The one thing that has really surprised me with the kettle is how much easier it is for me to lift than my old one. My old kettle is a regular jug type kettle that means I have to turn my wrist side on to pick up. With damage in my wrist that has caused some arthritic type pain, I find the movement quite painful at times, yet I never thought about changing my kettle. 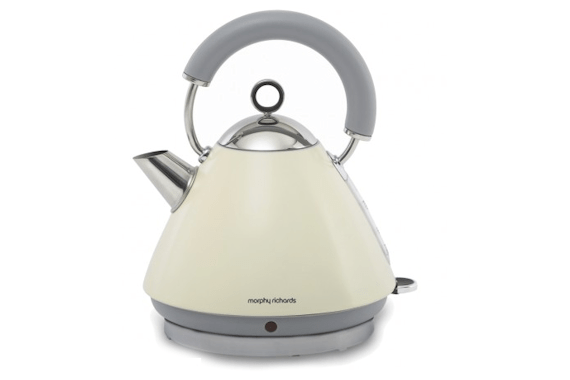 With the Morphy Richards handle at the top, I can pick up and pour hot water by moving my whole lower arm from the elbow, without twisting my wrist at all. I was looking forward to a gorgeous new kettle, but I am really happy with the fact that my wrist can pour without any pain. Why on earth I didn’t think about that before, I have no idea, but I won’t go back to a jug kettle now. Thank you Palmers, you have no idea how much easier making a cuppa is now. I’ve also got my eye on a fabulous Swan Stone Raclette in the future as the idea of asking the kids to sit and pick their food, and have them watch while it cooks appeals to me. I better get my skates on and make some pennies to pay for one. Palmers Department Store carries ranges for kitchens, bathrooms, living, dining and bedrooms. There are also some unusual gifts, with some neat Jamie Oliver mugs. 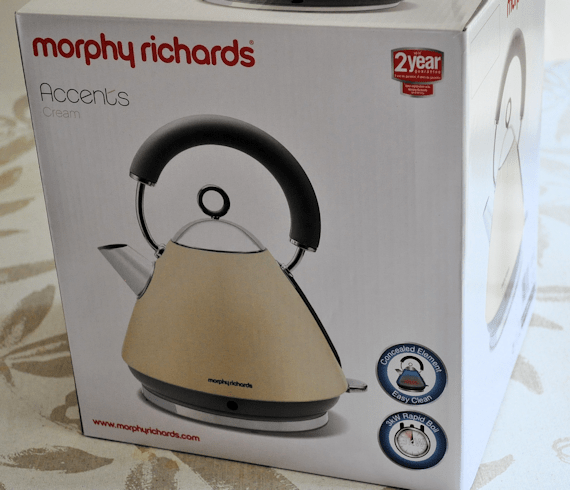 Disclaimer: I was provided a Morphy Richards Accents Kettle by Palmers Department Store. I was not told what to write, and was given a choice as to whether to review.